Get to know me. . .
A human, insatiably curious about the nature and mysteries of our embodied experience. A teacher and writer of soul, heart and healing, I hold a doctoral degree in Depth Psychology with emphasis in Jungian and Archetypal Studies from Pacifica Graduate Institute. I consider myself a scholarly mystic, who is devoted, creatively, to finding the sacredness in everyday life. I am a true believer in the power of the imagination and the reality of the unseen world. I am in relentless pursuit of the wisdom and language of the heart, which has led me to a deep and inevitable love affair with the poetic. I believe in the notion of vocation as a 'calling' — bringing our unique voice and essence out in the world. And these are the paths that chose me. I, somehow, am just along for the ride. Trying, at every turn, to listen a bit more deeply. + I am an author. My first book, Deep Creativity : Seven Ways to Spark Your Artistic Spirit (with co-authors Jennifer Leigh Selig and Dennis Patrick Slattery) will be published March 2019 by Shambhala Publications. + I provide written, video and audio content for various magazines, companies, and online platforms. +I offer in-person workshops on various aspects of energetic wellness, depth psychology, yoga, meditation, creativity and imaginative process. + I am a senior instructor for The Institute for Inner Studies in Europe. I teach a comprehensive system of energetic medicine known as Pranic Healing. I have taught various professionals and individuals this work, and guest lectured at Emory University Medical School on complementary medicine. I now teach in various countries throughout Europe. 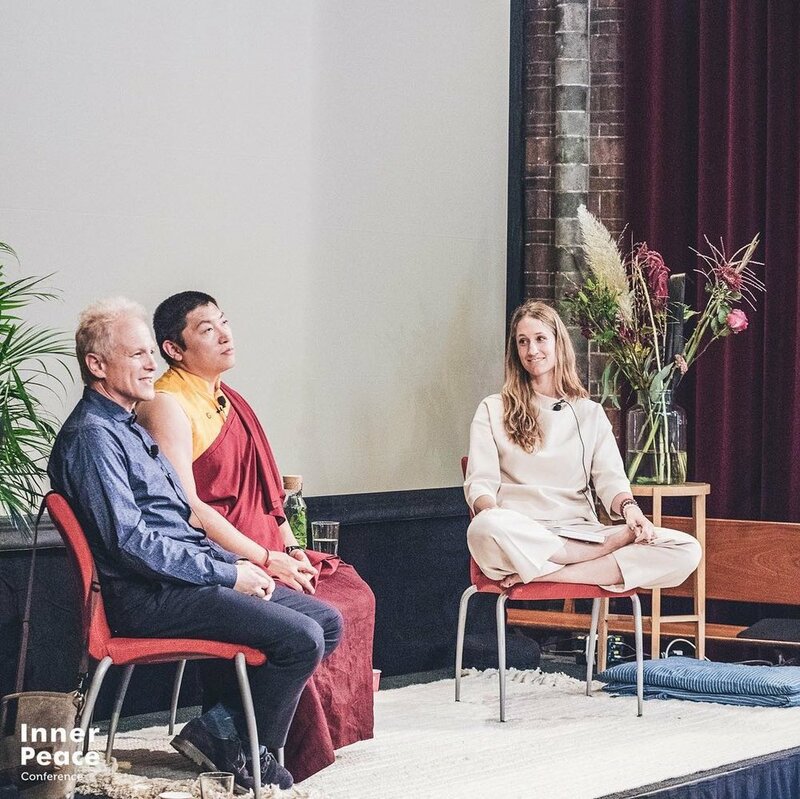 + I lecture and speak at various conferences and large festivals (most recently The Inner Peace Conference in Amsterdam and The Copenhagen Yoga Festival in Denmark). I have also appeared on radio programs and television. + I laugh, travel the world, and try to contribute positively to this astounding planet we co-inhabit. I can usually be found chasing after my toddler son with an americano in one hand and a green juice in the other. and continue on. . .